Tag line: "It's dynamite...! A prison full of rioting men!" In 1985, my brother and I spent two weeks in California visiting out Aunt, who lived in Marin County. One day, she treated us to a tour of Alcatraz, and during the ferry ride out to the island, we passed yet another famous prison: San Quentin. We were quite a ways away, of course, but I clearly remember seeing inmates in what must have been the courtyard, some of whom were waving at us. I thought about this as I watched the opening scene of 1937’s San Quentin, which was shot on-location at the prison. Alas, this brief walk down memory lane would prove to be one of the few highlights for me; San Quentin does have its moments, but not nearly enough of them to make it a worthwhile experience. When Lt. Druggin (Barton MacLane), the acting Captain of the Yard at San Quentin, goes a bit too far handing out punishments, the warden (Joe King) decides it’s time for a change. To this end, he hires Capt. Stephen Jameson (Pat O’Brien) a military man who favors rehabilitation over reprimands. His first day in town, Capt. Jameson visits a night club and immediately falls in love with singer May Kennedy (Ann Sheridan). But as he soon discovers, May has a brother named Red (Humphrey Bogart) who likes to get into trouble. When Red is caught stealing, he’s sentenced to several years in San Quentin, and shortly after his arrival befriends “Sailor Boy” Hansen (Joe Sawyer), a thief who’s planning a daring escape. Red announces that he wants in, but will his conscience, as well as his new-found respect for Capt. Jameson, allow him to go through with it? Humphrey Bogart does a fine job as Red Kennedy, a role that pre-dated his star-making turns in The Maltese Falcon and Casablanca by a few years. Playing the part with plenty of gusto, the actor showed the world he had what it took to be a star in Hollywood. Unfortunately, the remainder of the cast isn’t nearly as good. The normally reliable O’Brien practically sleepwalks through his role as Jameson, the stern but fair Captain of the Yard, giving the film a ho-hum leading man. Ann Sheridan fares a bit better as the Captain’s love interest, though her best scenes are with Bogart, and not O’Brien (during one of her conjugal visits, she’s caught passing money to Red, a clear violation of the rules). Story-wise, San Quentin is far too preachy for its own good (the “give a prisoner a second chance” mentality wears thin pretty quickly), and aside from a brief protest staged by the prisoners (most of whom object to the Captain’s new work schedule), things don't kick into high gear until the end of the movie, when we're treated to a car chase. Other than this, San Quentin has very little to offer. 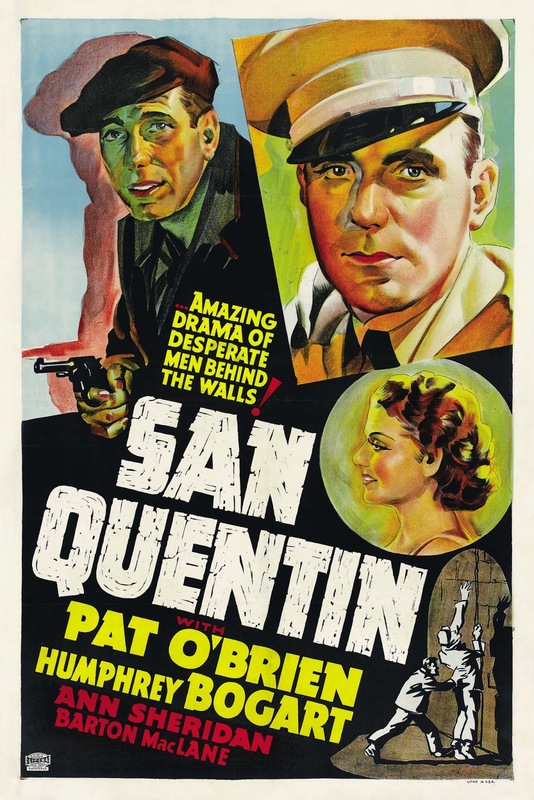 Those looking to delve into some of Humphrey Bogart’s earlier film roles may get a kick out of San Quentin. For everybody else, it just isn’t worth your time.